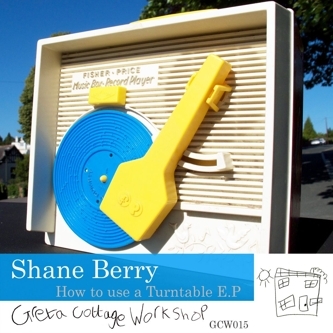 Fresh from remix duty for the Little White Earbuds Download of the week, Shane Berry brings his latest E.P to the table. The man takes a swerve in a slightly different direction this time around, but its still 100% Shane, and still Electronic Music from the Soul directed at the Dancefloor. Sasha has been dropping it into his sets the last couple of weeks and he has given it a big thumbs up. Here is the text from the one sheet. Putiton : A proper psytech warbler that touchingly shares a piece of it’s ever evolving self. A maze of 303 oddities reach out with pulsating melody and slick charm. Play it out & about, then watch people wriggle with joy. Pullitout : A sinister synthesized induced rustler encapsulates a sense of virtual empathy and analog dismissing togetherness, with interweaving filter manipulations attributing to an eventual warm spontaneous combustion. Hi tech soul from Tokyo resident Shane. Can you feel me? This has been a Sasha Secret Weapon for a month or so, its time to spread the love.